Last night I went grocery shopping after work and made latkes using a Russet potato, eggs, onion, salt and pepper. They were crispy and delicious topped them with sour cream and horseradish. For something a little bit different, I thought I'd share with you a recipe I made last week using a part of a giant roasted spaghetti squash. 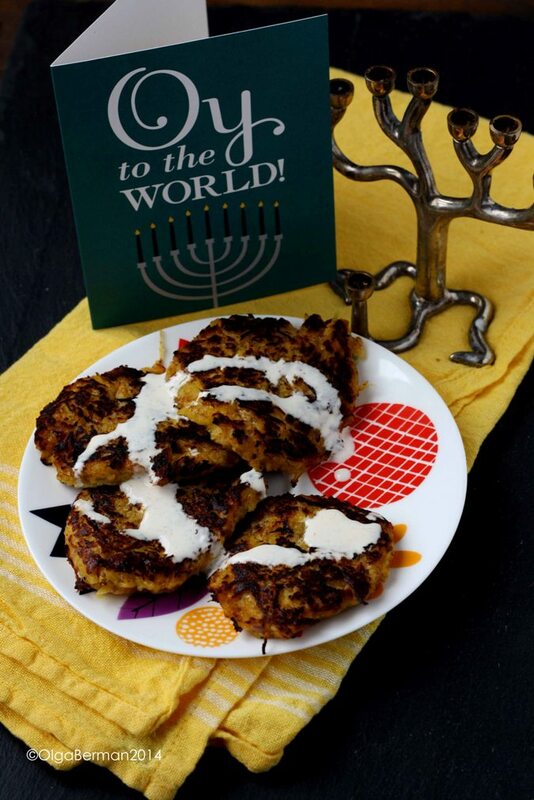 These spaghetti squash latkes came out incredibly delicate. If you want something a bit more sturdy, add an extra egg and more panko crumbs or flour. 1. 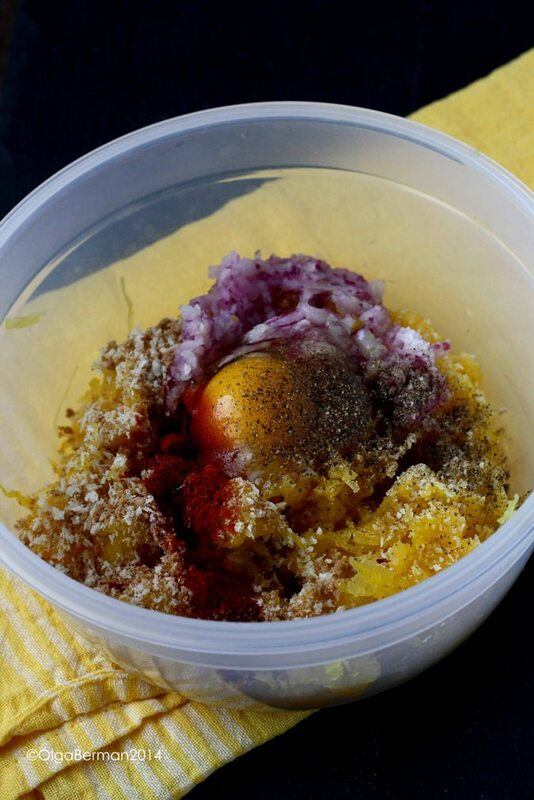 In a bowl combine spaghetti squash, egg, salt & pepper, panko crumbs, grated onion and paprika. 2. Heat vegetable oil (enough to cover the bottom of a skillet) and carefully drop mounds of the spaghetti squash mixture, flattening them with a spatula. Cook spaghetti squash latkes for 3-5 minutes on each side being extremely careful when flipping them over. 3. Make the sauce by thinning mayonnaise with fresh lime juice and adding a bit of paprika for color and taste. 4. 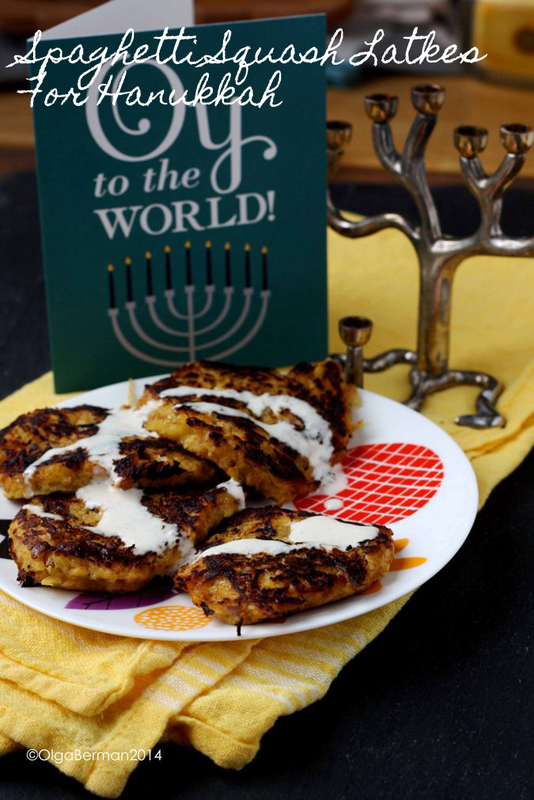 Serve latkes topped with the mayonnaise sauce. 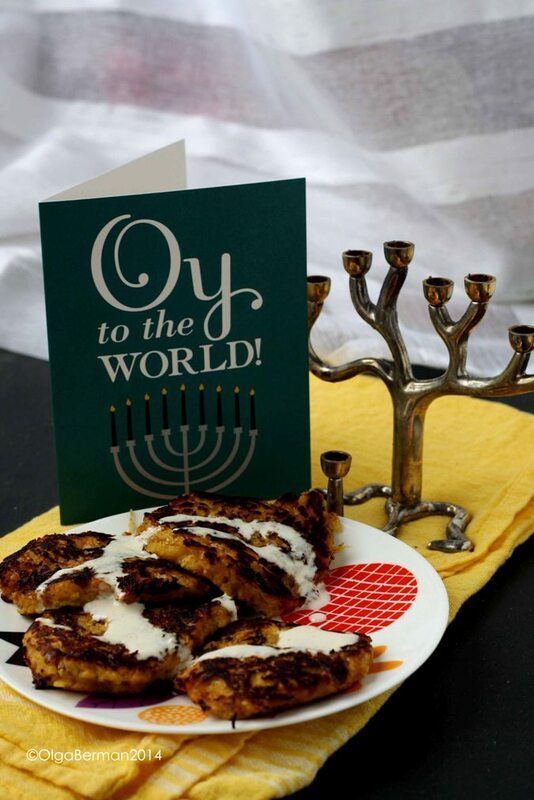 What kinds of latkes are you making this week?